Walking In The Air For Leaf! 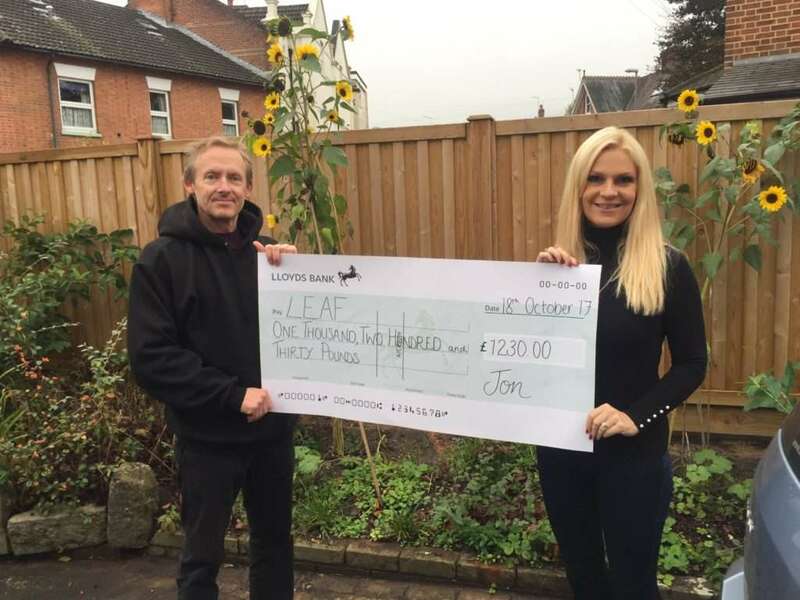 The sky was the limit for Jon Smallwood from Wimborne when he took to the skies of Dorset by doing a dare devil wing walk for local blood cancer charity LEAF (Leukaemia Educating & Fundraising) raising an incredible amount of £1230.00. Jon was diagnosed with Lymphoma himself in 2009 and has been supporting LEAF as he knows first hand the difficulties that blood cancer can bring for patients and their families. He says “This is an amazing charity with a personal and caring approach and it’s a pleasure to help. Money raised really does affect individuals, and families, and I’m pleased to be able to make a slight difference to those having a difficult time. 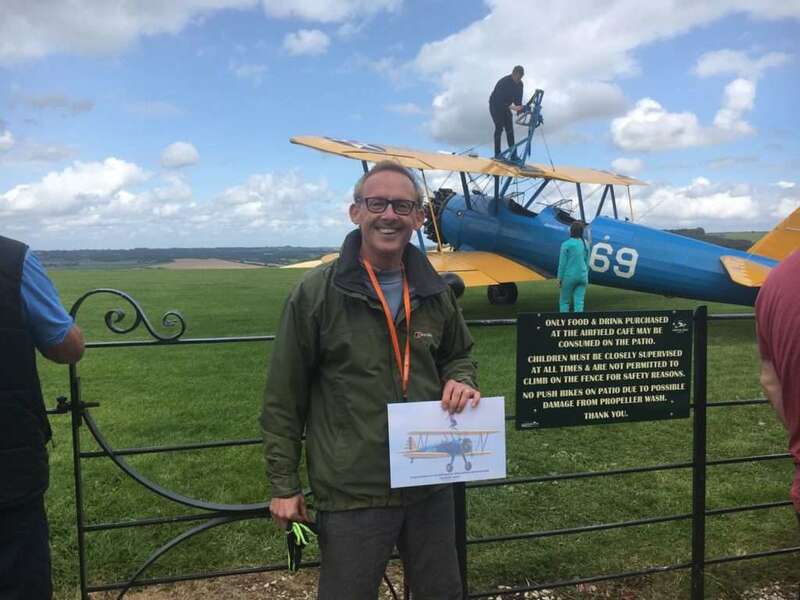 Jon has raised funds for a number of cancer charities by taking on many challenges but the wing walk has been his most nerve wracking. When Jon was asked, “Would you do it again?” he replied, “I’d do anything for charity”. With this last challenge, he really has proved this to be true! LEAF was founded by Natasha Hunt when she was diagnosed with Leukaemia in 2005 just three weeks after giving birth to her second son. The charity provides emotional and practical support to patients and families in Dorset & Hampshire.